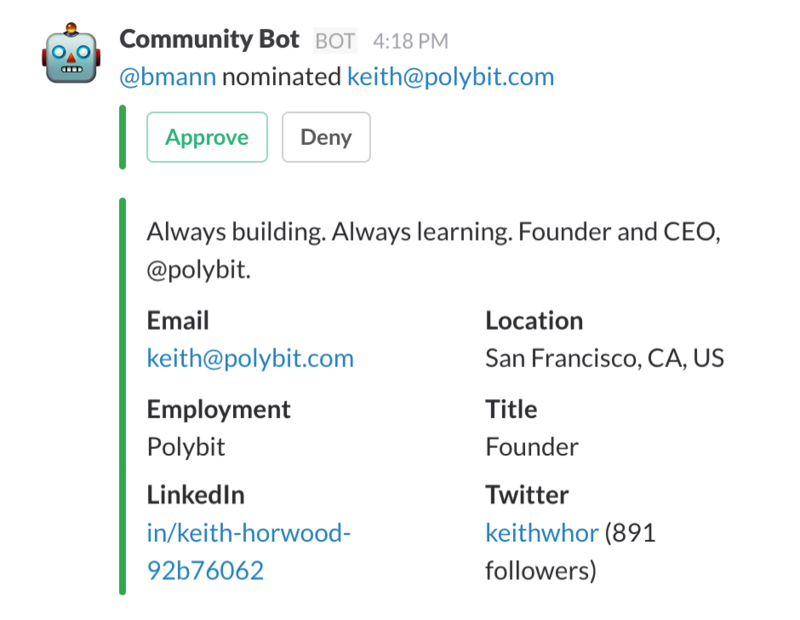 If you have any other questions or need help with Community Bot, send us a note! The privacy of your data is very important to us. We do not read or store any of the conversations in your Slack group. The only data we receive from you is the email address to nominate, and a list of your team members. If you have any questions or concerns, please send them to us through the above form.